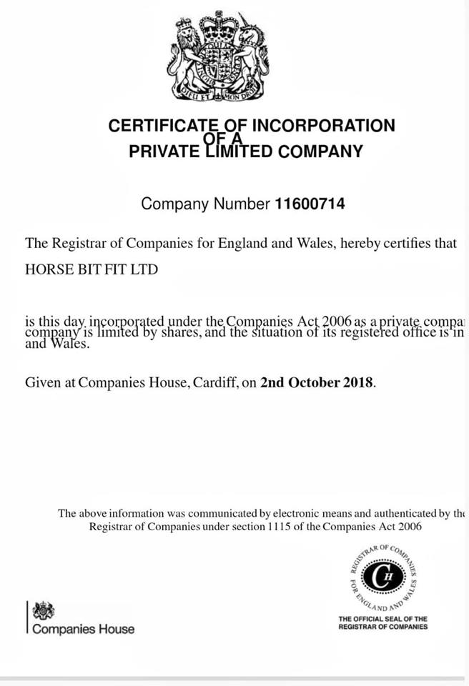 About "Horse Bit Fit Ltd"
We are a totally unique Horse Bit, and Bridle Consultation Service, covering the WHOLE UK, and now some of EUROPE. Making it easy to get you into the habit of having your horses Bits/Bridles checked once a year. Horses change due to growth, training, and the Bit may need to change with them. Bridle checks, and adjustments too can help enormously with how a horse engages it hindquarters, shoulders and back. We can help you achieve your goals with your horse by Consultation, either in the stable or ridden. Talks and Clinics are available too, which are CPD Accredited. Carol Cobbett, is the Founder and Director of Horse Bit Fit Ltd, with at least 25 years experience of Bitting, and has always been interested in how Bits, and Bridles badly fitted, or incorrect for the horse can compromise a horses natural movement, therefore doing long term damage to a horses back, and hocks. Carol has taken many Bitting Courses, including spending time with Dale Myler. Also taken BETA Lorinery Course, and several Neue Schule Courses. Has now written the HBF Consultation Courses, as felt there are huge gaps in the Bitting Courses available. When Horse Bit Fit was first thought of there wasn't all the research to back up Carol's theories, but now it's realised, and the horse world is slowly changing. Carol has an excellent reputation within the horse world, after running The Horse Bit Trader for many years, which was one of the first Bit Banks, started in 1996. Competed at top level in BSJA, and BE. Worked with racehorses, show jumpers, and owned horses for many years. Carol is a Registered Professional on The Concordia Connection, working with other professionals to improve horse welfare through less is more approach. Please see other pages for additional Consultants covering various areas of UK. All our Consultants have qualifications in equine areas such Saddle Fitting, Equine Physio, Equine Massage, Behaviour, Biomechanics, and Bitting. They are also trained in the HBF Knowledge Consultant Courses, which is a innovative Bitting System, and removal of Pressure Points from Bits and Bridles, this is CPD Accredited Training, to improve a horse's general natural movement, and biomechanics. This has been developed by Carol herself over the past 25 years. It is based on less is more, and horse welfare. This is the only way forward for the Equestrian World, and hence our mantra. James Cooling, Rachel Fuller, Sue Paine, Celina Harrison, and Carol Cobbett have the Advanced Consultant HBF Knowledge, and are qualified to Consult, give talks, and demos anywhere in UK. The other Consultants have Intermediate Consultant HBF Knowledge, and are working their way to Advanced. They are all qualified to consult in their own designated Postcode areas. All our Consultants have their own Insurance and DBS. Check size, fitting, where the Bits sits, conformation of mouth. Fitting of Bridle, and Nosebands. Any issues cannot be sorted with a Stable check. £45 each horse. Approx time 30 mins. Stable Check First. Then watching the horse ridden, seeing how the Bit/Bridle affect the horses movement, and making adjustments as necessary. Concentrating on any issues, advising on Bits that maybe required to achieve goals set, and equestrian disciplines. £65 (minimum charge) for a single horse. Approx time 90 mins each. £55 each for 2 horses or more. As a rider who constantly worries about the well being of my horses and struggles to ride effectively if I’m in any doubt over my horses comfort, I was delighted to discover the “Horse bit fit” service. I have spent much time and money to ensure that my horses are comfortable with their saddles, feet, teeth and general health. The missing piece of the puzzle…BITS! With thousands of different bit options on the market and a fortune spent on trial and error, it was a no brainer to take advantage of the Bit Fitting service to either point me in the right direction or give me the reassurance that I had the right bit for my horse and had fitted it correctly. The first thing I learnt when Carol arrived at my yard, was to reconsider that old school rule of the number of wrinkles of the lips when altering the height of the bit. I learnt that each horse has a “sweet spot” relating to the grooves and space inside the mouth. This really rang true with Rocco whose bit I had fitted too low (correct according to the lip wrinkle rule), this was causing a problem for Rocco as each time I rewarded him with a lighter contact I was knocking him in the teeth! Not great for training! Another thing I learnt from Carol, was about how the noseband can be used to alter how the bit sits in the mouth. This idea really helped Rolo to become more equal in both reins and more confident in the contact. Next up, Friesian pony Tye who can be very strong and run through the hand. Carol, taking into account his breeding and conformation, suggested that with serious lack of space in his mouth, the tongue pressure caused by his current bit could be causing him to be strong and run on. Flight response -perfect sense! I am so glad I booked Carol to come out and see my horses and I am confident that all three horses are now much happier and more comfortable in their work and it has certainly made training them easier. I am much more confident in my own understanding of fitting bits and their actions to suit different horses. It was a pleasure to meet Carol, her incredible knowledge combined with her love for horses was clear to see. I would recommend Horse Bit Fit to anyone who is looking for that missing piece of the puzzle, the bit might be just it!